Discussing concepts with others helps individuals to understand different perspectives and discover potential error in his/her thinking. If there is no set study group for a class, talk with students in classes to identify those who might be interested in actively participating in a group. Also, consider asking the instructor for assistance in creating a group as he or she can circulate a sign-up sheet and suggest topics to cover in the group. 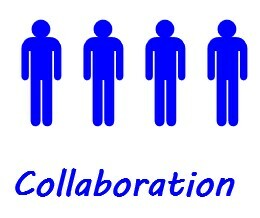 Many faculty members understand the value of collaboration and often either suggest or require a study group session. Consider limiting the group size. We recommended between 4 – 6 members. This amount gives you a few different perspectives while allowing everyone time to contribute. It is important that expectations are set early. If expectations are established, everyone will have a good understanding of what to expect to achieve at the sessions, what to expect from each other, and what is expected from each individual. Set a schedule for regular meetings (i.e. weekly). This will help ensure that the group becomes a habit.